Nothing is more important to us than the feedback we get from you – our client. The following testimonials are from some of our recent clients who we’ve enjoyed working with to help them get more of what they want. “This combination of talent has me convinced we will execute brilliantly through a very tough assignment and set of circumstances,” said Joe Gillespie, CEO of Zoove. When it comes to startups, turnarounds and high-growth companies, strategic visioning is a priceless investment in future growth and stability. 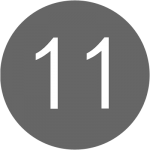 Rob Kabus — President, CMO, Eleven Inc.
Testimonial – Edgewater Networks, Inc.
Ready to get more of what you want for your company?